In a four quart bowl, add the Greek Yogurt, Whipped Topping, & Lemon Instant Pudding. Mix well. 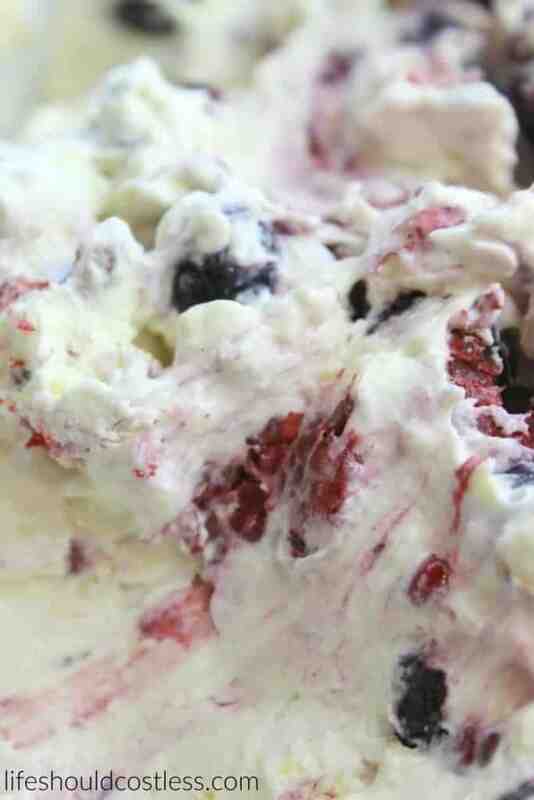 Add the frozen berries. Mix well. Cover and chill until ready to serve. Mix once prior to serving. If you need to make this a couple of days ahead you can cover and freeze it. Just put it in the fridge about 18 hours before you need it. Then mix and serve. As the berries thaw, each time you mix it will turn more purple. Cover and refrigerate any leftovers, should be good for about a day or two.